I knew this would happen eventually, but it appears that Media Fire is cracking down and starting to take our files down. We are well aware of the problem and my associates and I are currently working on a new plan for posting downloads. My advice for you all would be to get as much as you can from here before they delete everything in sight. We're gonna try to fix some downloads (mainly new stuff and essentials) but I can't promise that everything that was up will be posted again. So please, get what you can, know that a new solution is being worked on, so please be patient. Thanks for reading and thanks for all of your support. Running this blog has been nothing short of awesome for me. It was one of their best and -- perhaps ironically, thanks to the title -- one of their most Pixies-ish songs, but however you looked at, the giddy crunch of "Outer Space," with its flat-out fun melody, lots of crazy guitar effects, and Mitchell's vocals riding above it all with an audible smile, began the 3Ds' full-album debut with a bang. From there, things kept rolling along, resulting in a fine record that unfortunately got a bit lost over in the States because of the collapse of the band's American label, First Warning, shortly after release. Thrashing and tuneful, while never pointlessly macho, songs like "Ugly Day" and "Swallow" radiate a great, fun vibe. Guest performer Alan Starrett adds a few extra instrumental touches during the course of the record, like a dulcimer and fiddle combination on the soft, Roughan-sung album closer, "Jewel," and viola and kalimba on the clattering "Teacher Is Dead." Mitchell's vocals are generally a little clearer throughout, at times eschewing his occasional hysterics for a more relaxed flow that's never lazy, as the fine "Sunken Treasure" shows. Songs like "Leave the Dogs to Play," with its hollow percussion and heavily treated guitars and vocals, show the band getting more comfortable with studio possibilities, while having a blast with them at the same time. Roughan gets her chance to shine vocally at points, as on the loping "Sunken Head." And while Mitchell can't help but sound like Black Francis -- that's just how he sings -- he does an admirable job on "Hairs." Little info on these artists. This file contains 2 EPs, one from each act. These are the only known releases from these acts. Both are ripped from vinyl. On this green-friendly album, the New Zealand rock group apply their Beach Boys- and Byrds-inspired adrenaline sound to the "save the planet" concept. A beautiful album of delicate and melodic folk rock, the Flying Nun group's second decade sees planetary concerns at the forefront of their glacial guitar pop and '60s-inspired sound. Able Tasmans work with the low-tech sound similar to the Bats and the Chills, and produce sublime pop results. Some of the edge is lost in an over-production that is very stylized and dating to this early-'90s work. Nonetheless, the songs seem to transcend such aesthetic trappings. The Roys carved a niche out for themselves with this brief release. Full of moody but melodic distorted guitar lines, crashing drums and plain but likeable vocals, on the face of it the Roys' LP sounds like something almost any of their South Island brethren could have made. But the edgy, elliptical lyrics and the incredibly dynamic music churning behind them are unique. NZ music lovers seeking something beyond the Chills/Bats/Clean/Verlaines axis but unwilling to commit themselves to the extremes of the Xpressway camp will find a lot to enjoy on this remarkable album, one that ranks with the best that the South Island had to offer. 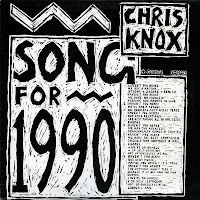 The album saw CD issue (with the two best tracks from a preceding EP as a bonus) in Germany on Flying Nun Europe and is not too hard to get find in that format. Able Tasmans - Hey Spinner! 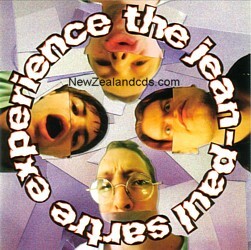 On this mini-album this obscure New Zealand group delivers some of their best upbeat Byrds-esque guitar pop on record. Of the five albums they produced in the late '80s/early '90s, the signature of their sound is the keyboard-driven melody, subtle acoustic arrangements, and propulsive rhythm section. The sound is quite close to a more folk-sounding Stereolab, with vocal harmonies from the Brian Wilson songbook. Recorded in 1986, this early collection by the Woolston, Christchurch foursome known as The Jean-Paul Sartre Experience (later simply as JPSE), gathers the bands first album and debut EP, along with the excellent "I Like Rain" single. A cheeky grab-bag assortment that mixes lo-fi Prince-y moves like "Let There Be Love" with purely "white boy" indie guitar strum in the form of "Grey Parade" or "Transatlantic Love Song", then throws in the gorgeous pure pop of "I Like Rain" for good measure. The band then went on to gain further recognition and fame, with these beguiling early songs gaining the cult recognition they genuinely deserved. Another reissue from the lovely folks at Flying Nun, and another essential slice of New Zealand indie pop history. Recommended. 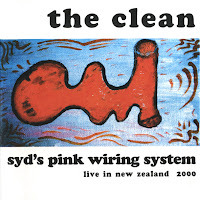 Here are two rather obscure recent Clean releases: One is "Syd's Pink Wiring System" which is a great soundboard live recording of a concert from 2000. 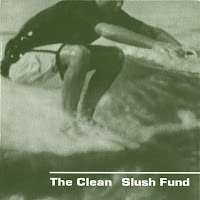 The other is "Slush Fund" which appears to be rather sparse piano driven re-workings on classic Clean songs. Both are pretty essential additions to a Clean collection. The title track to Alec Bathgate's first solo album ponders the peculiar trappings of fame: "50,000,000 Elvis fans can't be wrong/I guess they knew it all along. If you want to be a star, go today/buy a suit of gold lamé." Well, it's unlikely that this particular Gold Lame outfit will turn Bathgate into a household name of Mr. Presley's stature. That said, this album is still pretty damned neat. This collection of three-minute '60s-inspired toe-tappers has a number of high points, including the backward-guitar-bedecked "Win Your Love," a cover of Leonard Dillon's reggae standard "Train to Skaville," and the garage-y sounding "Pet Hates" (which was actually recorded in Bathgate's garage; how's that for authenticity?). With 16 tracks, Gold Lame may overstay its welcome. Still, this Tall Dwarf's album is no small achievement. The final TKP release stripped the band down to its core members the Jefferies brothers, though they brought in a number of guests to help out, including such notables as Alastair Galbraith, Michael Morley and Shayne Carter. The resulting effort covers much stylistic ground while still clearly being the focused effort of the siblings and their at-times aurally dank but always compelling musical and lyrical vision. Peter again handles most of the vocals in his semi-chanting way, though Graeme has his tracks here and there (his vocal-and-guitar "The Men by the Pool" is a definite highlight, at once gentle and unusual); even Morley takes the lead on one number, the measured stomp "Holding," which he also wrote solo. "Overground in China" is one of the lightest things TKP tried, with gentle guitar strums and uplifting piano counterpoint providing most of the music, yet Peter's quietly gripping vocals mark this as no other band but TKP. "On Various Days" is actually a bit of a ringer, having been recorded during the Beard sessions, but fits in here well as the album's center track, with Graeme turning in some excellent guitar work to carry the song. Interestingly, Peter avoids piano on many tracks, preferring instead to play his other main instrument, drums, while Graeme plays guitars, creating an even more stripped-down and "close" sound than before -- slightly ironic given that the record was made in an actual studio and not on a portable four-track! Straightforward guitar thrash turns up more than once, as on "Immigration Song" and the quiet-into-loud "Don't Go," yet Peter's vocals remain the cryptic calm point in the storm throughout. In retrospect, Same remains a fine, striking conclusion to TKP's underneath-the-radar career. Spare yet astonishingly powerful at the same time, TKP's second full release remains an unjustly ignored highlight of post-punk rock, building tension in ways not far removed from the likes of Joy Division and the Comsat Angels, but too, building with their own distinct, restrained qualities, heightened by the instrumental variety throughout, from mandolin to electric viola. 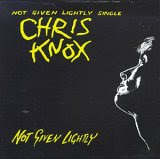 The recording's claustrophobic feel resulting from its four-track origins could earn the album a 'lo-fi' classification if it weren't for the fact that TKP relentlessly avoid the sloppy clichés that such a category might call to mind. 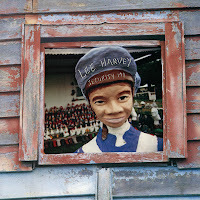 Beard avoids conventional drum rhythms at many points, relying instead on odd percussion boxes and Peter Jefferies' careful, imposing piano to support the low end along with the bass. Beginning with the ominous instrumental "Prelude," with Peter handling keyboards and brother Graeme on plucked violin, the album wends a haunting way through fractured lyrical portraits of existential dilemmas, eschewing "grand statements" in favor of intimate portraits, like the ex-party goer in "The Horrible Hour," well-sung by adjunct member Chris Matthews. Though the Jefferies brothers perform just about everything on most tracks, with Peter taking the lion's share of the vocals, various others add contributions from time to time, including "smashing of beer crates" on "East Meets West," which starts calmly enough but has a frightening, though low-key midsection with sudden screams and other buried noises. Quite wisely, not everything is completely awash in gloom. "An Open Denial" for instance, while not a knee-slapper by any means, captures the ear with its flat-out beauty, Peter's deep yet wistful vocals matching well with his piano as Graeme adds shading from violin, guitar, and bass. It could almost be something from Bark Psychosis or even late Talk Talk years before its time. I was recently contacted personally by some artists who have their music for download on this blog. They were happy to see a blog dedicated to their music, however, they expressed concerns over having their music up for download. Many artists don't have day jobs and depend on sales of their albums for their livelyhood. I have taken down certain albums per the requests of a few artists, and many more may be taken down in the future if other artists contact me. I started this blog as a means for getting this great music out there, not to scam artists out of the money that they deserve. Downloadable music has always been a controversial topic. Many see a downloaded album as a potentially lost sale, but I don't think things work that simply. I think in the case of a lot of music (especially music that is independently distributed) that a downloaded album could mean reaching new fans who otherwise would be unwilling to give an artist a chance without downloading their album first. The music climate is changing and I would encourage artists who think they are losing sales from downloads to reconsider that thought. With that said, it is not my place to decide how music is distributed when it isn't mine. If you are an artist and you want any music of yours taken off of this site, contact me and I will take it down ASAP. Any albums I do not recieve complaints for will remain up. As readers of this blog, consider it your responsibility to buy as much music from the artists you like. They depend on it! 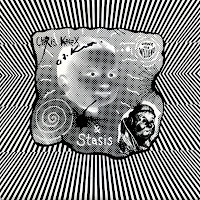 I do understand that a lot of this music is out of print, which is one of the reasons I started this blog in the first place. I also understand that a lot of this music is only availiable as imports, which can be ridiculously expensive too. But please, do what you can when it comes to supporting these artists. 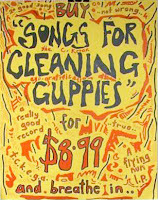 This blog shows that there is a high demand for this music outside of New Zealand and maybe that'll encourge labels like Flying Nun who have a significant portion of their back catalog deleted to consider re-issuing some of this great material.